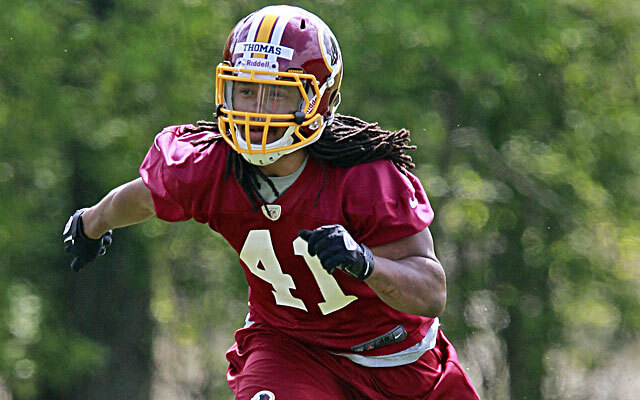 The Washington Redskins announced today that they have promoted safety Phillip Thomas to their active roster from the team’s practice squad and waived defensive end Clifton Geathers. Thomas (6-0, 223) was originally selected by the Redskins in the fourth round (119th overall) of the 2013 NFL Draft. He spent the 2013 season on the team’s Reserve/Injured list with a Lisfranc injury to his foot. Geathers joined the Redskins as an unrestricted free agent on March 14, 2014.